30,000 Banner Ad Impressions for $30 worth of cryptocurrency! Real Value! Advertising is one of the oldest and largest industries in the world. From the first time someone had something they wanted others to know that they were bartering or selling, advertising was born. Today it is a multi-billion dollar per year industry! Advertising works! That’s a proven fact but the problem for many, especially for small business owners on a limited budget is that advertising works best when applied consistently. This is why we see most mid to large size companies having huge advertising budgets! Another important factor needed to get good results from advertising is being able to properly target your market. If you are marketing high end designer shoes, you don’t want to waste your advertising money marketing to people who live in a rugged mountainous terrain. 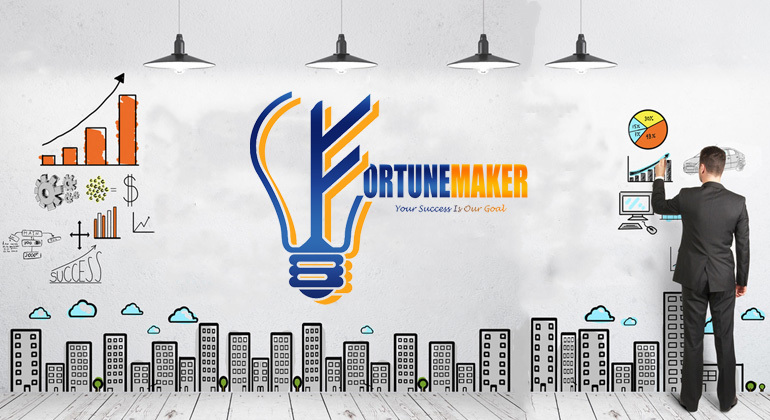 FortuneMaker combines the multi-billion dollar Advertising and Network Marketing industries along with the new unparalleled phenomena called Bitcoin to bring it members/advertisers a never before seen opportunity that will allow the masses to succeed, even if they are limited by budget, experience or ability to sponsor. There is room for everyone at our table! It gets even better! None of our members/advertisers are obligated to refer new advertisers to our platform to be able to acquire additional earnings and advertising! Our remarkable FortuneMaker system will do it for you along with helping to build your Advertising Team (teambuild). We do, however offer huge incentives in the form of unlimited Matching and Infininty Bonuses for those who do choose to help us build the FortuneMaker Advertising Network. We feel those that put out the extra effort should be rewarded even greater. It is just the right thing to do! Bonus #1: A customized teambuild that can assist you in earning an incredible income even if you personally don’t sponsor! Bonus #2: A complete automated marketing system free to all our members! Bonus #3: Our teambuild will be carried over into our Phase 2 project! In other words everyone that is in FortuneMaker will automatically be entered into Phase 2 along with the team they already built or had built for them! Phase 2 will offer an incredible product everyone will love and no one else is providing. We are making it a monthly subscription so our members can now count on residual earnings that come in month after month. Our members can simply upgrade into Phase 2 out of profit from FortuneMaker when they are ready to begin earning a second income stream! No one will be by-passed since you can only enter Phase 2 if you are already in Phase 1 which is, FortuneMaker! We are not disclosing the name for Phase 2 as yet. In fact we are thinking of doing a contest where you can help to come up with the name! What we can tell you is that Phase 2 is far beyond the conceptual stage. We have most of the programming including compensation plan and more already built. Similar to FortuneMaker, it is a totally customized one of a kind system that cannot be duplicated! So get ready for multiple income streams and a total lifestyle transformation!